Mrs Wilberforce, fending off the attentions of her visitor and bending forwards in an attempt to field the low grasps of his hands, while also pulling at the leg of her outfit, was reversing into the street, presenting a set of cheeks such as might be seen in an exotic zoo. 7269 words in the fine spirit of farce. 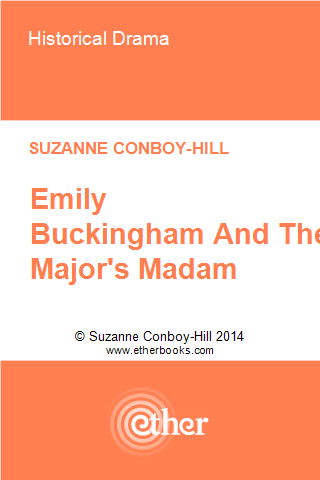 ‘Emily Buckingham and the Major’s Madam‘, a paid download from Ether Books, September 2014.